Introducing VascularCell, an open access medical journal endorsed by The Australasian Immunohistochemistry Society. 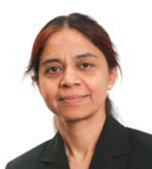 Beena Kumar is an anatomical consultant pathologist and the Acting Director of the Department of Anatomical Pathology at Monash Health, Victoria, Australia. She has keen interest in breast and haemato-lymphoid pathology and is the designated pathologist for Monash Breast Screen and the Lymphoma Working Group at Monash Medical Centre. She is also part of the faculty at Monash University, Melbourne, Australia and is involved in teaching undergraduate and post graduate medical students. She is involved in medical research and has worked as a post doctoral fellow at the Walter and Eliza Hall Institute of Medical Research and the Department of Pathology, University of Melbourne. She is currently involved in oncology based research projects in the areas of breast cancer and lymphoid neoplasms. She is a member of the Immunohistochemistry Committee and serves as the Convenor for the Immunohistochemistry Module of the RCPA Anatomical Pathology Quality Assurance Programs Pvt Ltd.She is the Principal Investigator of the Monash Health Biobank and the Victorian Cancer Biobank branch operating at Monash Health and is the MonashHealth representative on the Victorian Cancer Biobank Consortium Committee. Last update on: 2017/08/08 09:40:31 UTC/GMT time.